Free home visitation program that provides support and resources to families and caregivers. First Teacher Home Visiting Program is a free home visitation program that provides support to pregnant women, mothers, fathers, and other caregivers of young children in their own home. Participants are provided with prenatal support, activities, books, and learning materials for children who are 5 years old and younger. Monthly visits include vision, hearing, and developmental screenings by a Parent Educator. This fun program also provides links to community resources, support through connections with other families, and guidance in setting and achieving personal and family goals. First Teacher is available in the following eight counties: Bullock, Butler, Dallas, Lowndes, Macon, Montgomery, Russell, and Wilcox. What are people saying about First Teacher? In 2018, First Teacher completed the Parents as Teachers Quality Endorsement and Improvement Process and earned the highest designation: Blue Ribbon Affiliate status. 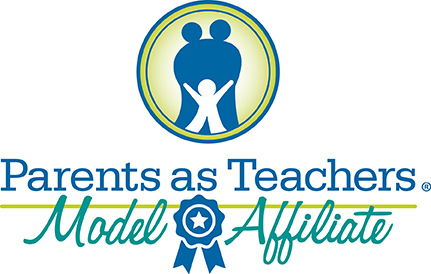 Being named a Blue Ribbon Affiliate affirms that our First Teacher Program is among the highest quality members of the home visitation and parent education field, implementing the evidence-based Parents as Teachers model with fidelity and quality.